Today we look at May's closed sales in zip code 20743 using data provided by MRIS and RBI. Adjacent to 20019, 20743 is bounded by I-495 on the east, the District on the east, Pennsylvania Avenue / Walker Mill Rd on the south, and Cabin Branch Dr / Hill Rd / Central Avenue on the north. 20743 is home to the Capitol Heights, Coral Hills, Seat Pleasant, and Walker Mill neighborhoods. 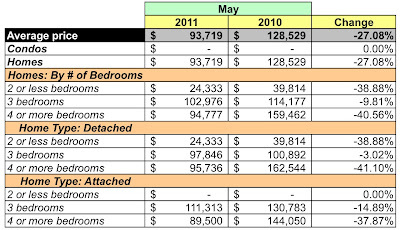 More than half of all sales in May were bank-mediated sales, with six short sales and 15 foreclosures. 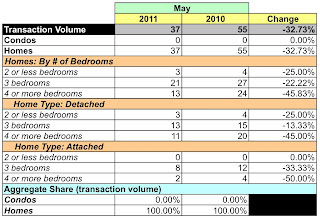 In May 2010, 33 of 55 sales were short sales and foreclosures. Aggregate dollar volume was down 50.95% over the same month in 2010. Unit sales fell 32.73%%. The average and median prices for a home were lower, down 27.08% and 46.07%, respectively. 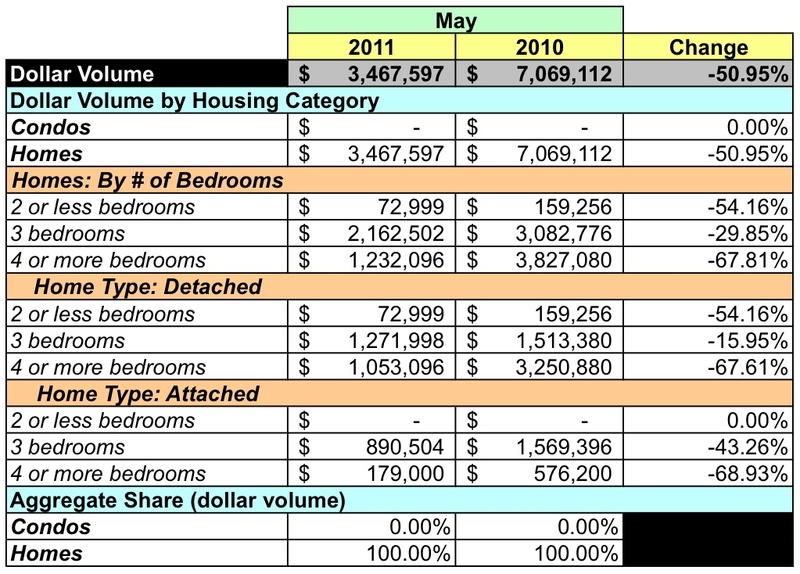 No condos were sold in May. The average price for a house was $93,719. The median price for the bank-mediated sales was $59,900. No house sold for more than $300K. At May's sales rate there's a 8.21 months supply of houses in 20743. 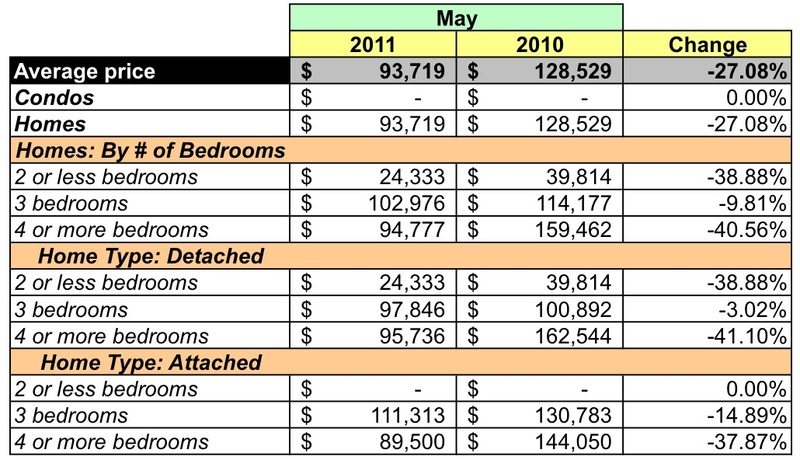 There were only 8 active condo listings during May, all priced lower than $200K. None of the 304 houses with active listings is listed for more than $300K. According to MRIS, properties in 20743 sold for 81.8% of the listing price. Looking forward, 74 homes went under contract in May and another 33 had contingent sale contracts. Given the high percentage of bank-mediated sales in 20743, the zip code presents buyers with opportunities and risks. There is a chance to buy a home in 20743 at an extremely low price, assuming a buyer is willing to undergo the bank-mediated sales process. 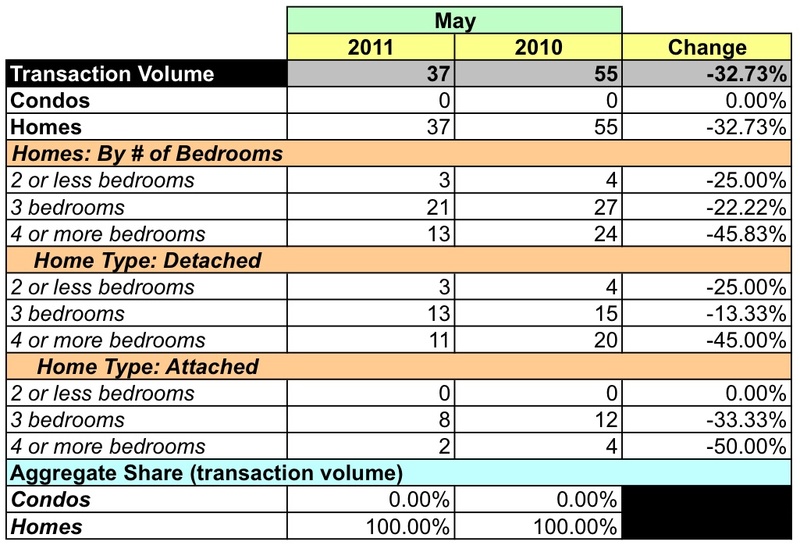 However, the continued presence of bank-mediated sales in the market leaves the buyer open to the risk of further equity loss through price deterioration, as demonstrated in the May 2010 / May 2011 market data.